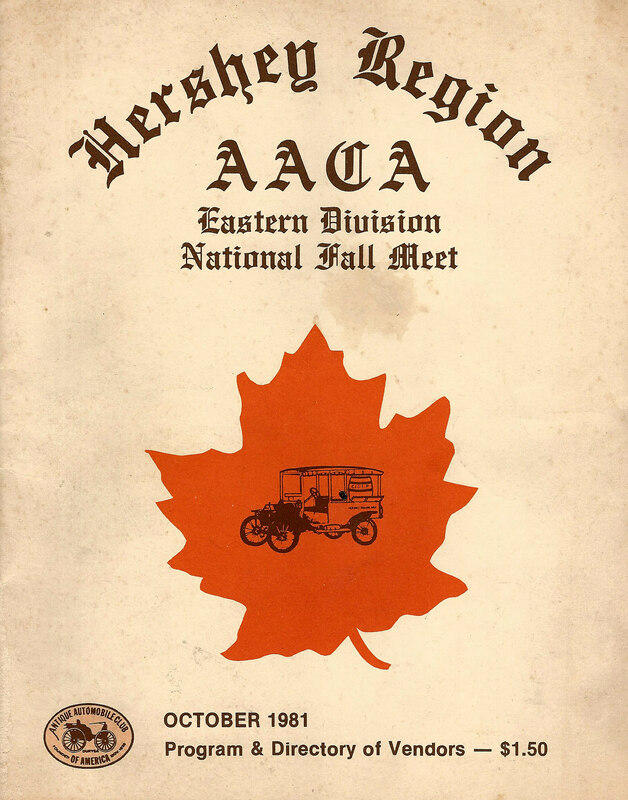 Each year the Hershey Region AACA selects one automobile to be featured at their annual National Fall Meet in October. 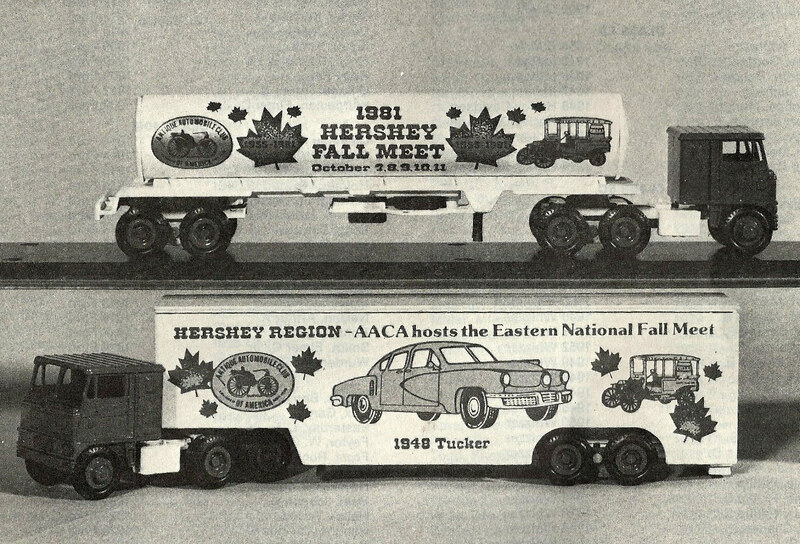 In 1981, the Tucker '48 #1044, owned then by Les Schaeffer of Steelton, Pennsylvania, was selected as the 1981 "display car". 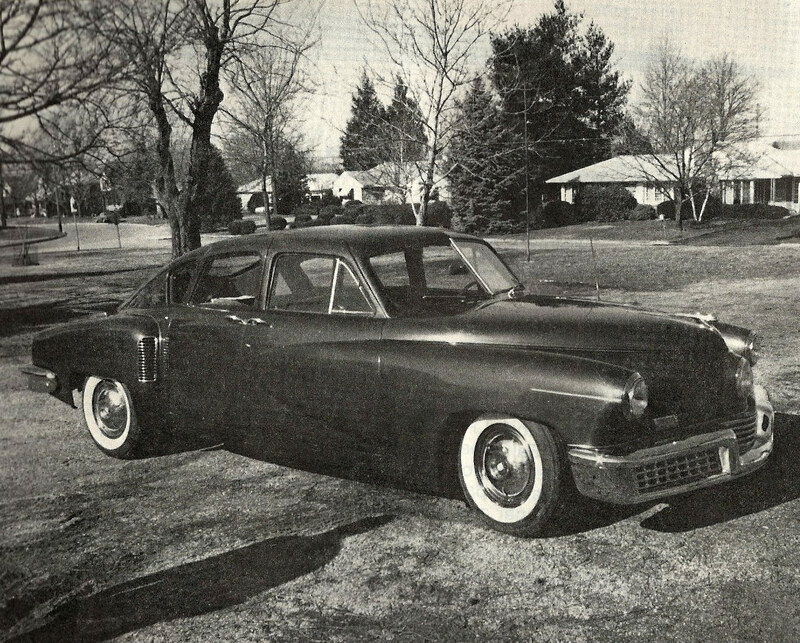 All VanderbiltCupRaces.com weekly newsletter subscribers are cordially invited to see the Tucker '48 #1044, the 1909 Alco Black Beast, the 1937 Chrysler's Chrysler and the 1963 Mustang III Concept Show Car in Roslyn, New York on August 27th. 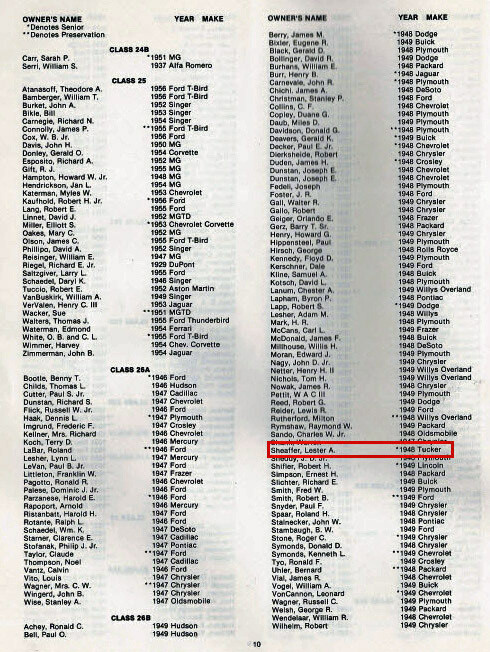 The Tucker '48 listed as an entrant for the Hershey Fall Meet. 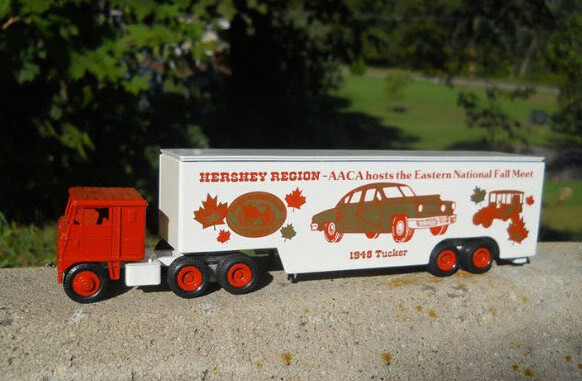 The image of the Tucker '48 #1044 on the side of the 1981 Winross truck. 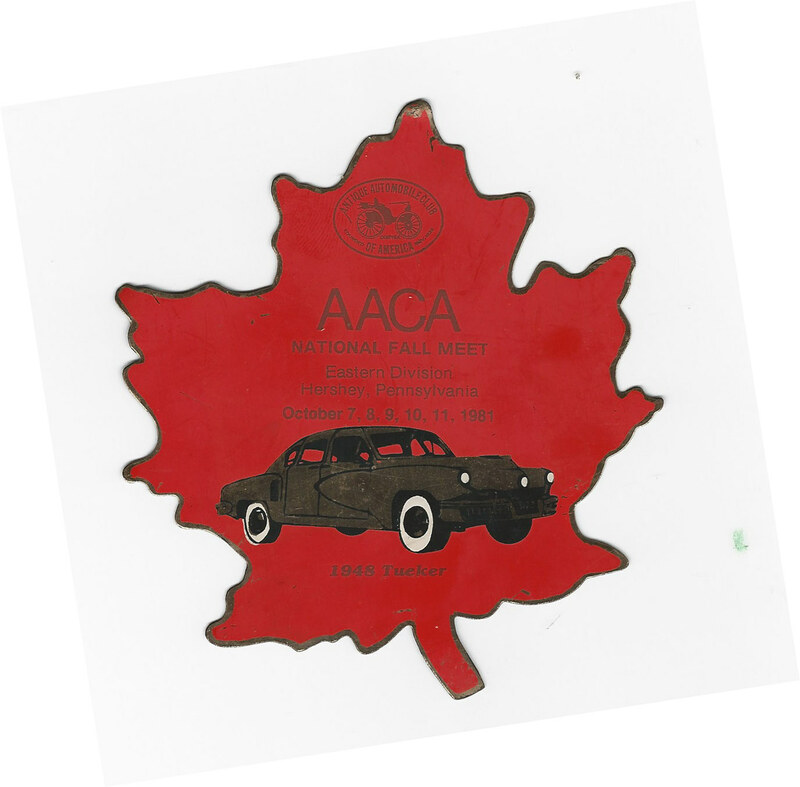 The image of the Tucker '48 #1044 was also featured on the entrant's dash plaque. 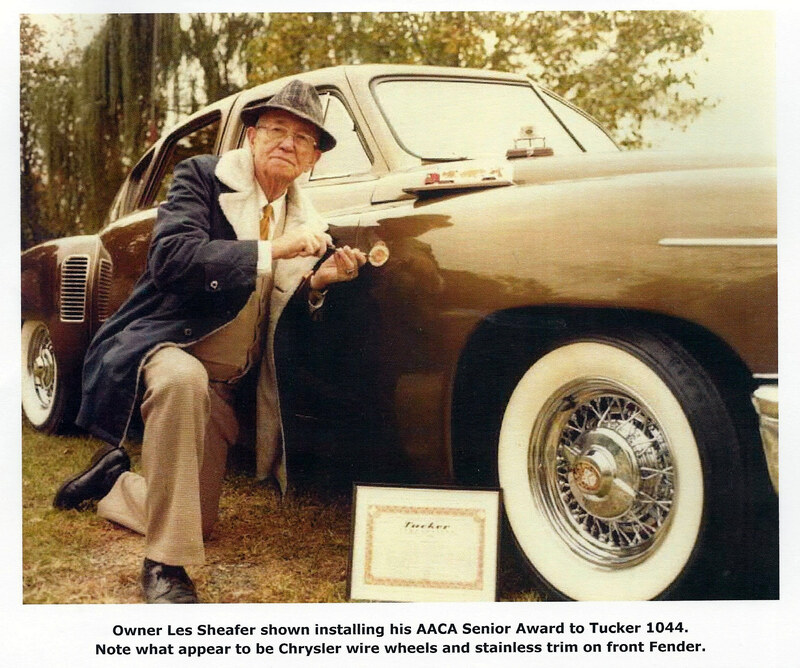 My wife and I just visited the Tucker exhibit at the AACA Museum a couple of weeks ago. Fantastic exhibit!! !